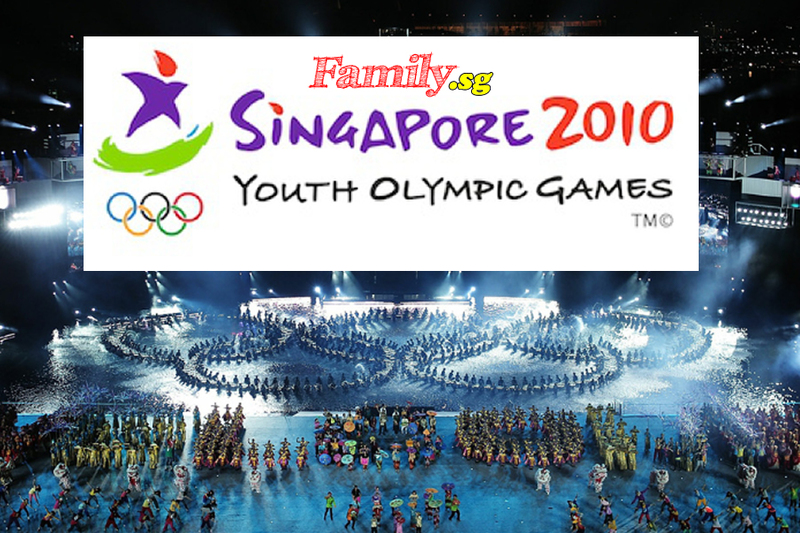 The city and island state of Singapore has recently won the right to host the first Summer Youth Olympic Games to be held in 2010. In an announcement by the International Olympic Committee Chairman, Singapore was voted by the Committee as the most attractive location to host the inaugural games. Singapore boasts a sterling track record for organizing and hosting very large events on a global level, and has strong experience and capabilities to manage the first Youth Olympic Games and ensure that it is a success. Singapore is also a very young nation, founded only in 1965, and has always been a melting pot for the South East Asia region where a variety of cultures, languages and backgrounds live, work and play together. However, most importantly, it was the passion and commitment of the Singapore Youth Olympic Games bid team and the strong support of Singaporeans from all walks of life that swayed the vote towards the city state. A total of 19 competition venues and 7 training venues are expected to be used to stage the Singapore Youth Olympic Games in 2010. Competition venues are largely scattered across Singapore at existing community sport facilities, and a number of new sport facilities will also be purpose-built for the games. Given the relatively small size of Singapore island, all competition venues will be within a 30 minute shuttle bus ride from the Youth Olympic Village. Most training venues will be located at the sports facilities of the National University Singapore. Sports facilities in the National University of Singapore are mostly within walking distance from the Youth Olympic Village, giving athletes the added advantage of convenience. To accomodate the expected number of athletes and their training needs, additional training facilities at 5 other Singapore schools will also be used, and will be a short 10 to 15 minute shuttle ride from the Youth Olympic Village. The potential of the Youth Olympic Games to unify the nation, and also reinforce Singapore’s presence on the world sporting map has captured the hearts and minds of many Singaporeans. Many companies have also stepped forward to pledge their support for both the bid process as well as the successful organization of the Singapore Youth Olympic Games 2010. Here is a list of the 700+ companies that have publicily stepped forward to lend their support. To accommodate the expected number of athletes and their training needs, additional training facilities at 5 other Singapore schools will also be used, and will be a short 10 to 15 minute shuttle ride from the Youth Olympic Village. Bishan Stadium is part of the Bishan Sports Complex, which also includes the Bishan Sports Hall. It is the proposed venue for Athletics competition events as well as the finals of the football competition of the Singapore Youth Olympic Games 2010. The stadium has a permanent seating capacity of 3,000, and 7,000 more temporary seats will be added for the Youth Olympic Games. The warm-up venue for athletes will be at a local public school called the Catholic High School, a short 700m shuttle ride or 10 minute walk away from the stadium. Bishan Stadium has been the headquarters of Home United Football Club – a participant in the Singapore’s professional football league. From 2004 to 2006, Bishan Stadium was used as the venue for Home United’s home matches in the Asian Football Confederation Cup tournament. The stadium has also been used for a number of international football matches involving the Singapore national team, such as the ‘A’ international match between Singapore and the Philippines in March 2002. In September 2006, Bishan Stadium was used as 1 of 2 venues for the Asian Football Confederation U-17 championship, also hosted by Singapore. The Australian national football team has also used the stadium before as its training base before the Asian Cup in June 2007. Bishan Stadium is about 20 minutes traveling time from the Youth Olympic Village. It is conveniently located within walking from the Bishan MRT train station and the Bishan public bus interchange. Besides several convenience stores in the neighboring residential areas, there is also a large suburban shopping mall, Junction 8, situated nearby which provides a wide variety of shopping, dining, leisure and entertainment amenities. Bishan Sports Hall is part of the Bishan Sports Complex. It is located next to the Bishan Stadium and is the proposed venue for the Gymnastics competition events of the Singapore Youth Olympic Games 2010. Bishan Sports Hall has been the de facto venue for the Singapore Open Gymnastics Championships for a number of years. The Pesta Sukan Gymnastics Championship was also held at this venue in 2004 and Bishan Sports Hall has hosted the ASEAN Schools Artistic and Rhythmic Championships in 2003. Bishan Sports Hall is the training venue for Singapore’s national gymnastics team, while schools, clubs and gymnastics coaches also use the hall for various youth development and training programs. The permanent seating gallery in Bishan Sports Hall caters to 1,700 spectators, and an additional 300 temporary seating spaces will also be added to accomodate the larger crowds expected for the Singapore Youth Olympic Games 2010. During the YOG, the warm-up halls for Gymnastics will be a three-minute shuttle ride away at two nearby local public schools, the Catholic High School and Raffles Institution. There are also potential alternate plans for a large, air-conditioned tent can be erected over the adjacent tennis courts as the warm-up area, but this has yet to be confirmed at time of writing. The Bishan Sports Hall is about 20 minutes traveling time from the Youth Olympic Village, and is well connected to the public transportation network via the Bishan MRT train station, public bus interchange and taxis. A large and popular suburban shopping mall, Junction 8, is situated adjacent to the Sports Hall and will provide numerous shopping, dining, leisure and entertainment options for YOG participants and supporters. Kallang Tennis Center is the proposed venue for the Tennis competitions to be held during the Singapore Youth Olympic Games in 2010. It is part of the Kallang Sport Centre which also includes the Netball Center and the Cricket Field, and will also form part of the new, intergrated Singapore Sports Hub destination. Kallang Tennis Centre has 14 tennis courts and is located just outside the central business district of Singapore. A 16 minute shuttle bus ride from the Youth Olympic Village, Kallang Tennis Center was built as a community sports facility in March 1978. Since then, it has grown from strength to strength to become a popular venue for tennis programs and competitions, including hosting the annual Singapore National Schools Tennis Competition. As the focal point for competitive tennis in Singapore, the Kallang Tennis Center is also the training venue for the national team and national youth teams. Other facilities at the Kallang Tennis Centre include a canteen, shower rooms and an office area which can easily be turned into a medical and physiotherapy room. Temporary seating stands for 2,000 will be erected around the main court (Court 14) for fans and the media during the Singapore Youth Olympic Games 2010. The Singapore Turf Club Riding School is a brand new, international standard equestrian facility that is proposed as the venue for the Equestrian competition events for the Singapore Youth Olympic Games 2010. Expected to be due for completion by end 2009, the new Riding School will occupy a 5–hectare site next to the Kranji Racecourse, the popular and only competitive horse racing facility in Singapore, where the annual Singapore Cup as well as weekly national horse racing events are held. With its fully sheltered riding arena, the Singapore Turf Club Riding School is likely to be an ideal venue for the Equestrian Jumping event. Hosting the event at a riding school and horse-racing facility allows participants and organizers to easily utilize existing stables, equine facilities and expertise on offer. The Singapore Turf Club Riding School arena will also have a surrounding gallery for 1,500 spectators, which will help create a sizeable and exciting crowd environment during competition day. With ample amenities such as car park space on site and a nearby MRT train station (Kranji) for public transport connectivity, the facility is well placed to host international standard equestrian events. Situated in the North Western district of Singapore, the Singapore Turf Club Riding School will be around 20 minutes traveling time from the Youth Olympic Village by shuttle bus. Don’t let the name mislead you, but the Kallang Cricket Field has been proposed as the venue for the Archery competition events of the Singapore Youth Olympic Games 2010. It is part of the Kallang Sports Center together with the Tennis Center and Netball Center. There is strong interest in Archery as a competitive sport in Singapore, and there are more than adequate professional archery equipment, supplies and support staff available to ensure that facilities set up at the Kallang Cricket Field to host the Archery competition event is staged to world standards. The archery event here will also be clustered together with Tennis and Street Basketball at the adjacent Tennis Center and Netball Center respectively, offering athletes and supporters the opportunity to soak in the excitement of a variety of competitive sporting events in a 1 stop location. The International Convention Center (ICC) is one of Singapore’s largest multi-purpose, indoor convention and exhibition facility in the heart of the business and financial district. The ICC is proposed as the competition venue for Fencing, Handball, Judo, Taekwondo, Boxing, and Indoor Wrestling events of the Singapore Youth Olympic Games 2010. The International Convention Centre is also conveniently located near the IOC Family hotels, of which the Ritz-Carlton Millenia Singapore is just a 10-minute walk away. Other hotels include the Swissotel, Marina Mandarin, Oriental Hotel, Conrad International, and the Pan Pacific Hotel, all connected via sheltered pedestrian walkways within 10 minutes of the ICC. The ICC has hosted some of the world’s biggest meetings, exhibitions and conventions. The most prominent of which was the International Monetary Fund (IMF) World Bank Congress in 2006. The convention and exhibition halls comprise approximately 25,000 square meters and will provide a world class, indoor air conditioned facility for the proposed sporting events. The ICC, also popularly known to be situated within the SUNTEC City shopping and commercial office development, is easily accessible by the MRT train service (City Hall, Millenia) and various public bus services. It is around 20 minutes by shuttle bus from the Youth Olympic Village. The Choa Chu Kang Stadium, with its international standard football pitch and 4,000–spectator capacity, has been proposed along with Jurong West Stadium as the proposed venue for the preliminary rounds of the Football competition of the Singapore Youth Olympic Games 2010. The stadium was built in 2001 and is part of the Choa Chu Kang Sports Complex, a large and popular community sports facility which includes alongside the stadium, a swimming complex, gymnasium, four tennis courts, a street soccer area, and a multi-purpose sports hall. Choa Chu Kang Stadium is home to the Singapore Armed Forces Football Club (SAFFC), which participates in Singapore’s professional football league. Choa Chu Kang Stadium has been used as the venue for the home leg of Asian Club Football Championships in 2002. The venue was also used when Singapore played the ‘A’ international friendly football match against the Philippines in early 2007. When SAFFC participated in the Asian Football Confederation Cup 2007, the Choa Chu Kang Stadium hosted various football league teams from around the world, including India’s Mahendra United, Hong Kong’s Happy Valley, Jordan’s Al-Wihdat and New Radiant from the Maldives. The Stadium was also the venue for the Asian Grand Prix Athletics Championships in 2005. It is also frequently used to host various Singapore Athletics events such as the annual Singapore National Schools’ Athletics Championships and the Singapore Open Athletics Championships. Choa Chu Kang Stadium is a 20 minute shuttle bus ride from the Youth Olympic Village. Jurong West Stadium, with its international standard football pitch and a capacity to host 3,200 spectators, will be one of the two proposed venues for the preliminary football competition matches of the Singapore Youth Olympic Games 2010. Jurong West Stadium is part of the Jurong West Sports Complex – a relatively large and popular community sports facility frequented by many who live in the surrounding residential areas. The integrated sports facility includes the stadium, a swimming complex, a multi-purpose sports hall, and 2 tennis courts. The stadium is home to the Gombak United Football Club, one of the clubs competing in Singapore’s professional football league. Jurong West Stadium has been the venue for a number of international friendly matches, and has hosted national football teams from countries such the United Arab Emirates, North Korea, Oman, Saudi Arabia. Located in the western part of Singapore, Jurong West Stadium is accessible via highway and is approximately 20 minutes away from the Youth Olympic Village by shuttle bus. Jurong West Stadium is also situated across the road from the Pioneer MRT train station (expected to commence operations by end 2009). The Stadium is well served by public bus transport and the nearby Public Bus Interchange, Boon Lay. The Singapore Sports School is the proposed venue for four sports during the Singapore Youth Olympic Games 2010: Swimming, Weightlifting, Volleyball and Modern Pentathlon. The Singapore Sports School was founded in 2004 as Singapore’s only premier training institute that combined sports and education for promising, young athletes aspiring to a career in professional sports. Students between 13 and 17 years are admitted and the Singapore Sports School supports these students to pursue their sporting dreams while achieving a sound academic education. Built as a greenfield project on a 7–hectare site and fully equipped with sports training, education, and residential facilities, the Singapore Sports School has been highly successful in developing Singapore’s young sporting talent. The impressive swimming complex within the Sports School has two Olympic–sized swimming pools, covered by a four-storey high shelter. The Singapore Sports School has hosted the Asian Swimming Championships and the Singapore Open National Swimming Championships since 2006. With 2,700 temporary seats installed, sufficient seating arrangements for a sizeable crowd will ensure an exciting swimming competition, as well as enhance the competitive swimming element of the Modern Pentathlon event during the Singapore Youth Olympic Games 2010. The Auditorium and Badminton Hall of the Singapore Sports School will be used as venues for the Weightlifting and Volleyball competitions respectively, while the various components of Modern Pentathlon will make use of the swimming pool, auditorium and athletic field facilities within the school. Although located in a relatively quiet North Western corner of Singapore, the sports school is only around 20 to 25 minutes away from the Youth Olympic Village by shuttle bus. In a way, the seclusion plays to the condusive environment for students to concentrate on their training needs and studies, and keep to the rigorous schedules of aspiring sport professionals. Part of the Toa Payoh Sports Complex, which also includes the Toa Payoh Swimming Complex, the Toa Payoh Sports Hall is the proposed venue for both Table Tennis and Shooting competitions in the Singapore Youth Olympic Games 2010. With a seating capacity of 2,000 spectators, the Toa Payoh Sports Hall has hosted a wide range of sports events. It was used as the venue for the Table-Tennis competition during the South East Asian Games in 1993. Other major Table-Tennis events hosted here include the Commonwealth Championships (2000), Women’s World Cup (2002), the Volkswagen Pro-Tour (2004, 2006), and the South East Asian Championships (2006). In 2007, Toa Payoh Sports Hall also hosted the Five Nations Netball Tournament involving Singapore, Canada, Sri Lanka, Trinidad and Tobago and Northern Ireland. Other facilities at the Kallang Tennis Centre include a canteen, shower rooms and an office area which can easily be turned into a medical and physiotherapy room. Temporary seating stands for 2,000 will be erected around the main court (Court 14) for fans and the media. Sentosa Siloso Beach is the proposed venue for the Beach Volleyball and Beach Wrestling competition events of the Singapore Youth Olympic Games in 2010. The beach is situated on the resort island of Sentosa, just off the Southern coast of Singapore and a bridge connects the island by car, bus and light rail train services to the mainland. At around 13 minutes travelling time from the Youth Olympic Village, it is hard to imagine that there would be such a nice island resort in such close proximity to the city centre. from all over the world competed to qualify for the Beijing 2008 Olympic Games and US$ 200,000 in prize money. The tournament attracted hundreds of fans to the island on a daily basis. Sentosa Siloso Beach is home to Singapore’s beach sports enthusiasts, who gather here most weekends to participate in casual and competitive games. When the sun sets, the sporty atmosphere gives way to a relaxing and romantic dining and entertainment ambience with its al fresco restaurants, cafes and lounges. East Coast Park, less than 1km away from the National Sailing Center, has been proposed as the competition venue for the Triathlon event of the Singapore Youth Olympic Games 2010. The East Coast Park is Singapore’s largest and most popular public beach and park facility. This area offers a wide range of facilities, including dining, recreation, entertainment and sport, and caters to all age groups from young to old. Every morning, evening and weekend, East Coast Park attracts hundreds of people to its large open spaces, lagoons, fitness areas, and barbecue pits. The 7.5km long beach integartes a variety of watersports, recreation and food and beverage outlets. A variety of sports can be enjoyed at the park, including cable wakeboarding, sailing and windsurfing. Fishing and open sea swimming are also popular leisure activities that take place at the park. With a 12 km cycling, roller blading and jogging track built along the Eastern coastline of Singapore, East Coast Park also offers a distinct combination of lush greenery, open spaces and fresh air for both leisure and sport training and competitions. East Coast Park has been the location for the OSIM Singapore Triathlon, an international Olympic distance triathlon event that has grown steadily from 500 participants in 2002 to 3,800 participants in 2007. Participants swim in the surrounding open sea, then transit seamlessly to the tropical greenery of the East Coast Park road for the cycle and run segements of the triathlon. With the recent completion of the Marina Barrage, the newly created Marina Reservoir will be a choice venue for a wide range of international standard water sporting activities, including hosting the Canoeing and Rowing competition events for the Singapore Youth Olympic Games 2010. The Marina Reservior area will include a sheltered, 1km straight race-course earmarked for Canoeing and Rowing activities. The on-land activites will be staged along a portion of Gardens by the Bay – a new 32-hectare public park facility next to Marina Reservoir. With an extensive water frontage along the Marina Reservoir, the Gardens will provide an excellent vantage point for spectators and media coverage. A covered seating gallery for approximately 1,100 spectators will also be constructed so that fans will have a spectacular, clear view of the live competition action along the channel. The proposed facilities to be made available on site at the Marina Reservoir for the Singapore Youth Olympic Games 2010 includes a boat-storage shed for up to 200 boats, a boat-washing area, toilet and shower facilities, and a doping-control station. The Marina Reservoir is situated about 20 minutes by shuttle bus from the Youth Olympic Village. The proposed venue for the Sailing competition events of the Singapore Youth Olympic Games 2010 is the National Sailing Centre located on the South Eastern coast of Singapore, near Changi International Airport, and towards the tail end of the East Coast Park leisure and recreation strip that spans most of the South Eastern and Eastern coastline of Singapore. Covering an area of around 2.4-hectares, the National Sailing Center was built at a cost of around US$ 5.4 million, and is dedicated solely to the promotion and excellence of sailing as a leisure and competitive sport. Its facilities include a large berthing area for boats, an administration block, a multi-purpose sports hall, a cafeteria, a dormitory and an auditorium. The National Sailing Center is the primary training ground of Singapore’s national sailors who made their mark during the 2006 Asian Games in Doha, where Singapore gained recognition as Asia’s top sailing nation. The sailors in the 470–class have also earned a place to compete internationally in the Beijing 2008 Olympic Games. The center has always been a choice location for regional and international sailing competitions. It is an ideal location for sailing competitions as its strategic position makes full use of the South West and North East winds for year-round sailing. The average daytime wind direction in the area is 165 degrees, and average daytime wind strength is around 10 knots (18.5 km/h). The National Sailing Center has hosted many international and regional events. These include the World Byte Championships (2003), the World Hobie Tiger (2005), the Asean Optimist Championship (2006), the Asia Pacific Laser Championships (2006) and the Asian Optimist Championships (2007). The center is less than 30 minutes traveling time from the Youth Olympic Village, from which it is connected directly by a highway. The current home and headquarters of the Singapore Hockey Federation, the National Hockey Center is the proposed venue for the Hockey competition events of the Singapore Youth Olympic Games 2010. The Singapore Hockey Federation uses the facility for its national and youth development hockey squad training. One of the earliest uses of the National Hockey Center as a hockey competition venue was during the 1993 South East Asian Games. Since then, the facility has also been used extensively by the Singapore Hockey League. Apart from the Singapore Hockey League, the National Hockey Center has played host to the first Women’s Asian Hockey Federation Cup (1997), the Under-16 Asian Hockey Federation Cup (2000). The Singapore International Hockey Challenge (2007) was also staged in the facility, and featured national men’s and women’s hockey teams from India, Japan, Malaysia, Pakistan and Singapore. The National Hockey Center is situated around 20 minutes away by shuttle bus from the Youth Olympic Village and most IOC Family hotels. It is well connected to the public transportation network, and is walking distance from the Redhill MRT train station and public bus stops. Opening hours: Most shops in the city are open from 10am until 8pm or 9pm every day of the week.